On Sale Now! 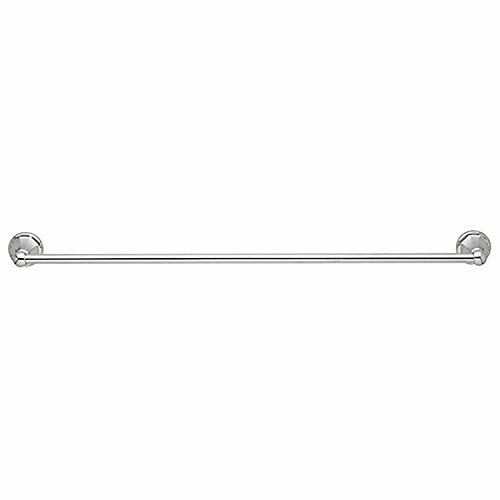 Save 3% on the BALDWIN 3781.260.18 Prestige Collection 18'' Canaveral Towel Bar Polished Chrome by Baldwin at The Synthesizer. MPN: 3781.260.18. Hurry! Limited time offer. Offer valid only while supplies last. Finish:Polished Chrome, Length:18' Bold and brawny, the Canaveral series of bath hardware updates the traditional octagonal post design of the 1920s. Finish:Polished Chrome, Length:18' Bold and brawny, the Canaveral series of bath hardware updates the traditional octagonal post design of the 1920s. Standard mounting hardware for drywall, wood, and masonry included. Note: Product finishes which are RELIEVED may vary in luster, hue, and appearance as a result of handcrafted variances in the final finishing step.